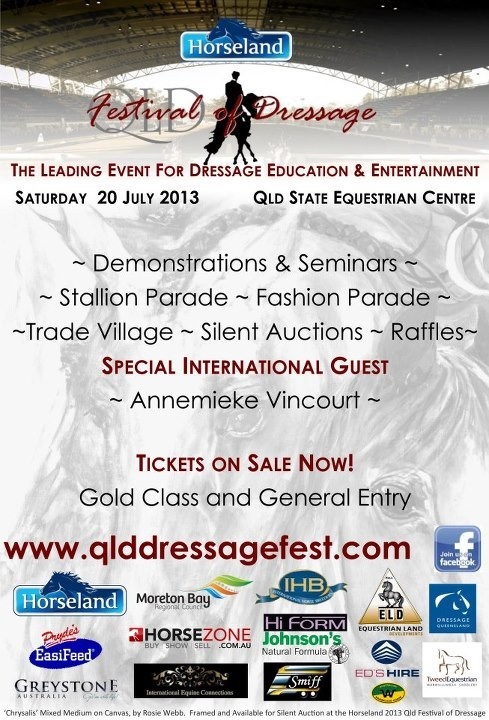 Don't forget that THIS SATURDAY, 20 July, is the QLD Festival of Dressage! There are loads of demonstrations and seminars, a silent auction, raffles, plenty of shops and even a stallion and fashion parade! Tickets are only $30 for adults, and $15 for kids if you buy them by friday! So come on down to the QLD State Equestrian Centre at Caboolture and have fun at this great not for profit event, I know I will be!